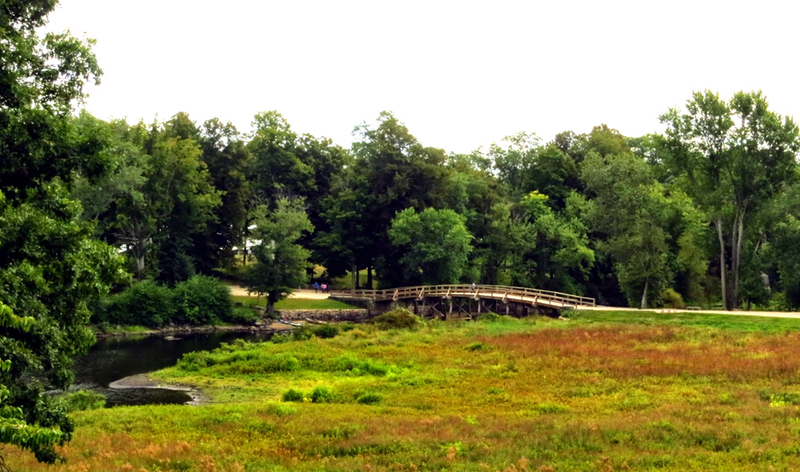 The Old Manse is one of the most extraordinary houses in America. It saw the birth of two revolutions and was lived in by a string of some of the most exceptional Americans every to grace a town noted for exceptional people. Concord is that town, a small, suburban Massachussets community, only 15 miles west of Boston. There is a grassy town square with its monument, a hillside cemetery, a single street lined with shops and several venerable old churches with white, pointy steeples. Concord was also, for a time in the center of the last century, the intellectual center of the young nation. 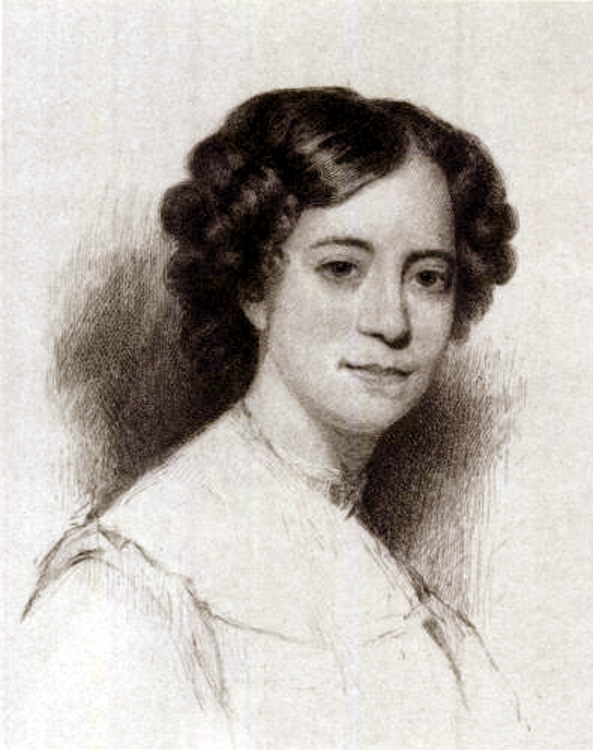 Among its residents were writers, preachers, lecturers, editors and abolitionists. Some of their names are still current: Ralph Waldo Emerson, Henry David Thoreau, Louisa May Alcott, Daniel Chester French — sometimes it seems you have to have three names to live in Concord — and Nathaniel Hawthorne, who broke the three-name rule. Others were once as eminent, but are now remembered mostly by scholars and readers of history books: Amos Bronson Alcott, William Ellery Channing the younger, and Ezra Ripley among them. The Manse sits on a wooded rise on Monument Street north of the town center. It is a two story wood frame, gambrel center-entrance twin chimney Colonial house, now with gable windows in the roof and most of its paint gone, leaving a gray, old weathered building in the arbor of trees and vines. It is notable for its many tiny rooms, unusual for an eminent house of that time. That was the first revolution the house presided over. 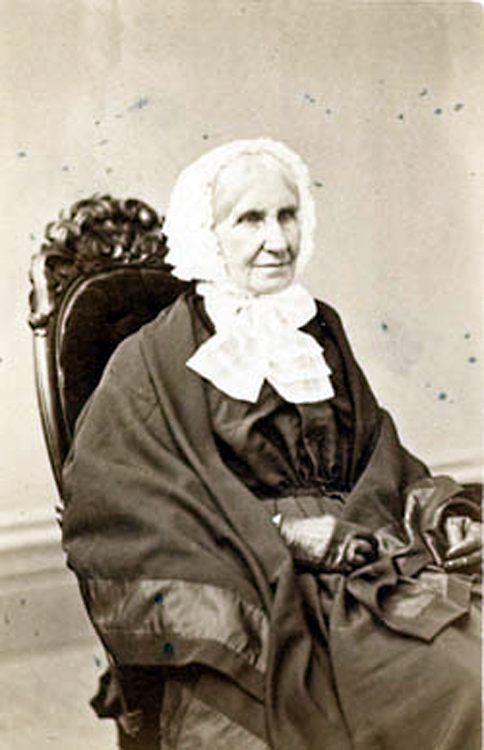 Mary Moody Emerson, who was an infant at the time, used to say that she, too was “in arms” that day, because she was held up by her mother to the second-floor window of the Old Manse to witness the battle. 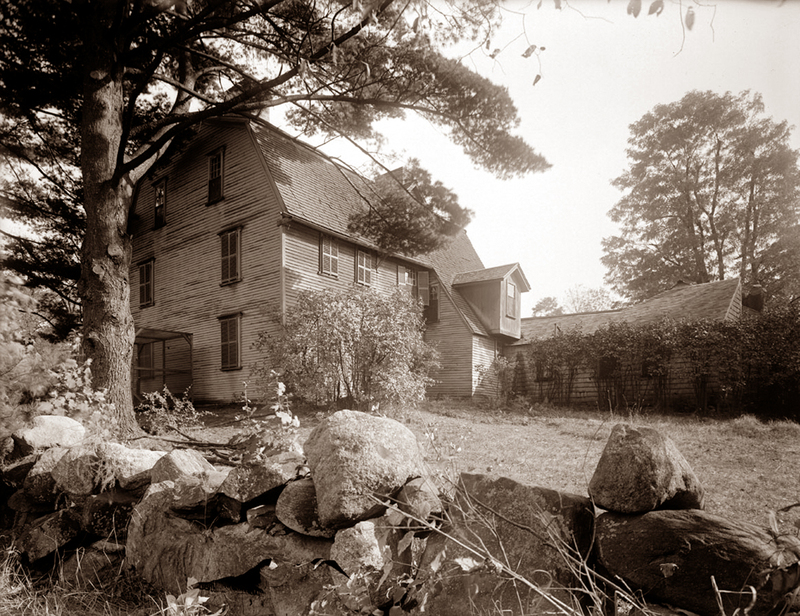 Her father, Reverend William Emerson, built the Manse in 1770. When William Emerson died in 1776, from disease contracted at Fort Ticonderoga, his widow tried to carry on by herself, but then, in 1780, she married the formidable Reverend Ezra Ripley. 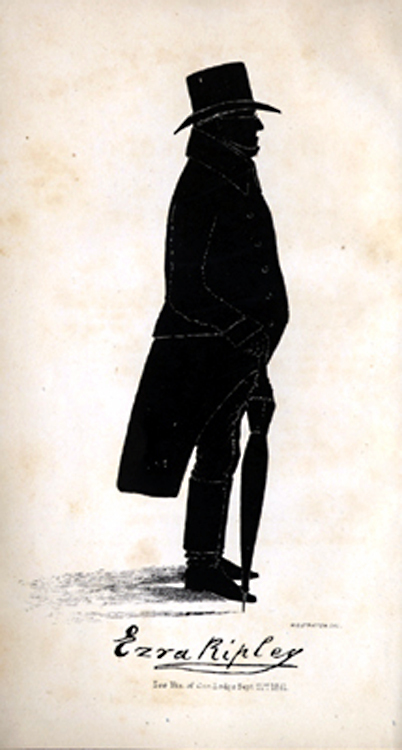 He preached up a thunder for 63 years as minister of Concord. And when he died, he was laid out “Majestic and noble,” recalled Ralph’s older sister, Ellen. Ralph Waldo only lived at the Manse for a single year, but it was for him and important year. 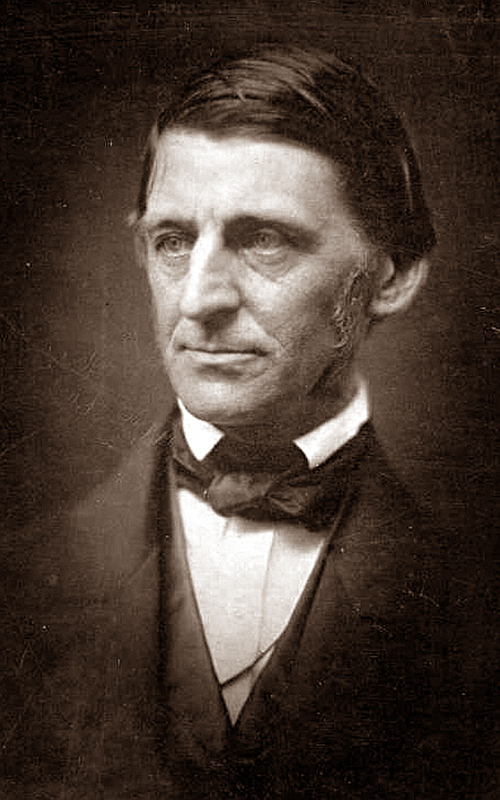 It was at the Manse that he wrote his first, and most influential essay, “Nature,” which spelled out the tenets of Transcendentalism. That was the second revolution. It altered the intellectual direction of the country and was the first genuinely American philosophical venture. Its effects can still be seen in American culture, from the photographs of Ansel Adams to the American national park system. 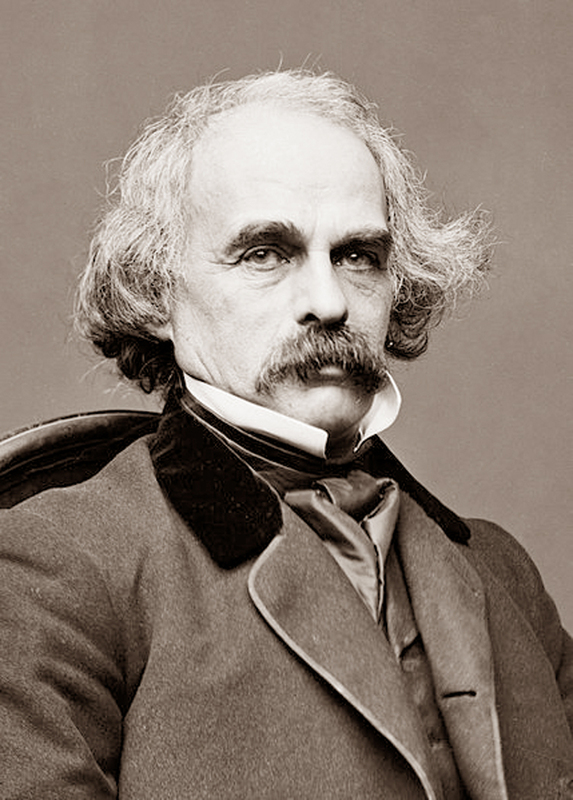 In July 1842, Nathaniel Hawthorne and his bride, Sophia Peabody (that’s “So-FYE-uh PEEB-iddy”), became tenants at the Old Manse. They stayed three years “in Eden,” he wrote. He wrote many of his best known short stories in the Old Manse and also the introductory essay for the volume of stories known as Mosses from an Old Manse. 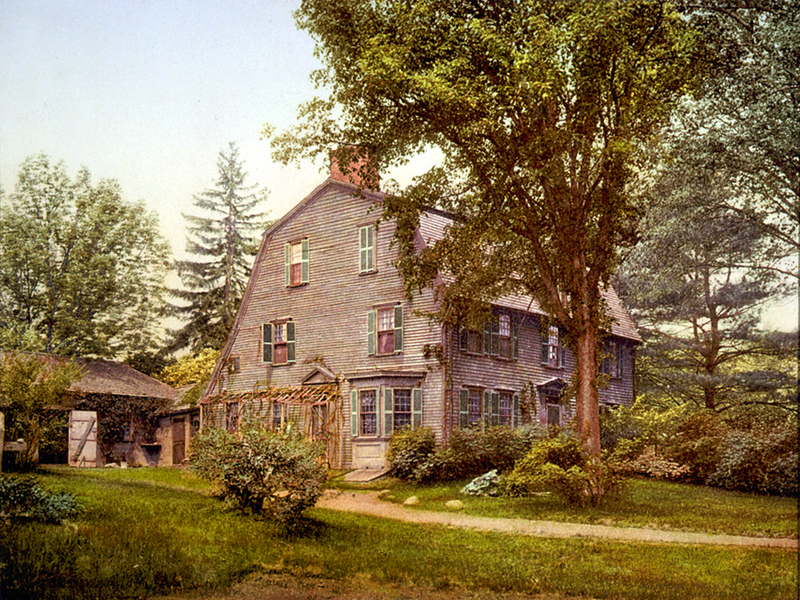 Ralph Waldo, recently married and removed to his own house, had suggested the Old Manse to Hawthorne. Henry Thoreau became Hawthorne’s gardener. The couple was transcendently happy. “We seem to have been translated to the other state of being, without having passed through death,” he wrote. 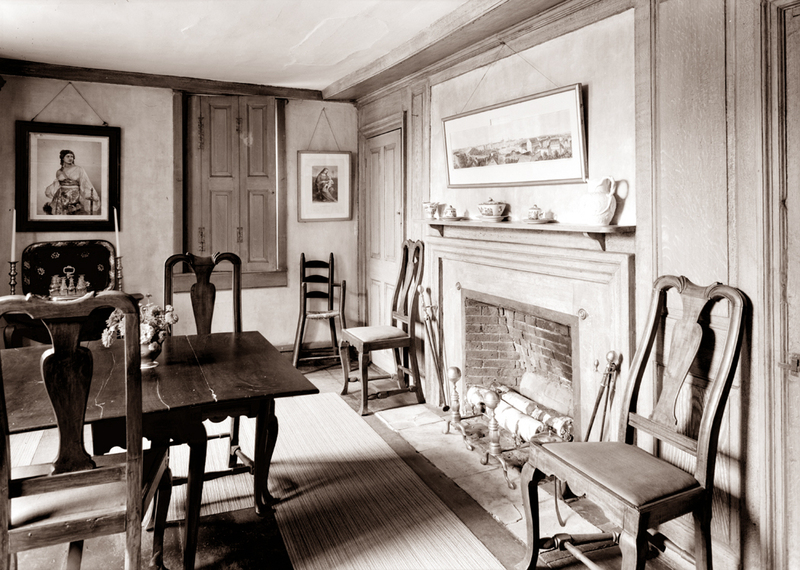 The house had always before reflected the dour Puritan esthetic of its builder, but the young couple redecorated it, brightening it up and modernizing. 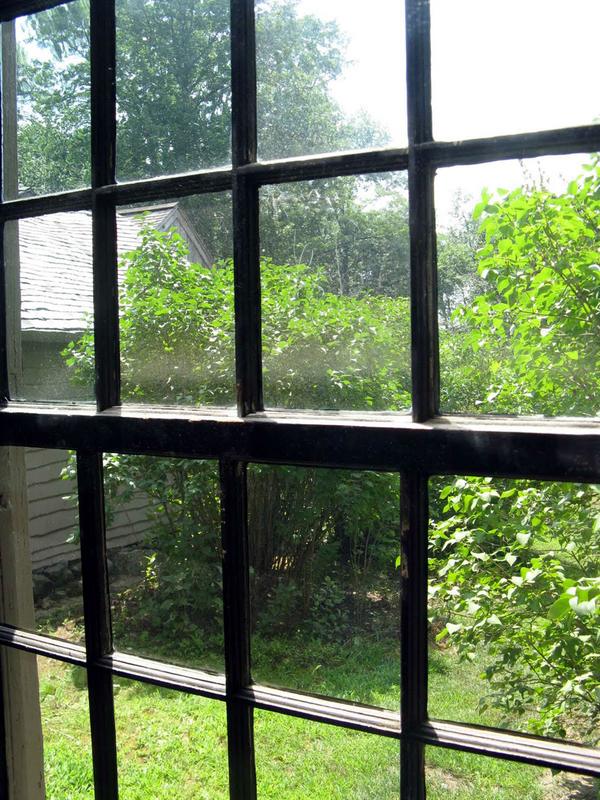 In the north window of the upstairs study, Hawthorne and his wife scribed sweet nothings into the glass. The scratchings are still there to be seen. We think them immeasurably romantic. Their landlord looked at it something more like vandalism and they were asked to move out. Samuel Ripley and his wife, Sarah, then moved in. Sarah was perhaps the brightest light ever to live in the Old Manse. She was exceptional in any age, and a miracle in her own. With only a year and a half of formal schooling, Sarah went on to teach herself botony, calculus, Greek, Latin, and most modern European languages. When she was in her 60s, she took up Sanskrit. She apologized to one visitor that she still needed a Sanskrit dictionary to help her, implying that she could read the Odyssey or the Aeneid the way some people read the daily newspaper. She sighed, “I cannot think in Sanskrit,” recalls her grandson, Edward Simmons. Another visitor records a trip to the Old Manse and seeing Sarah rock the cradle with one leg while cooking dinner with her hands and tutoring one student in German and another in geometry. 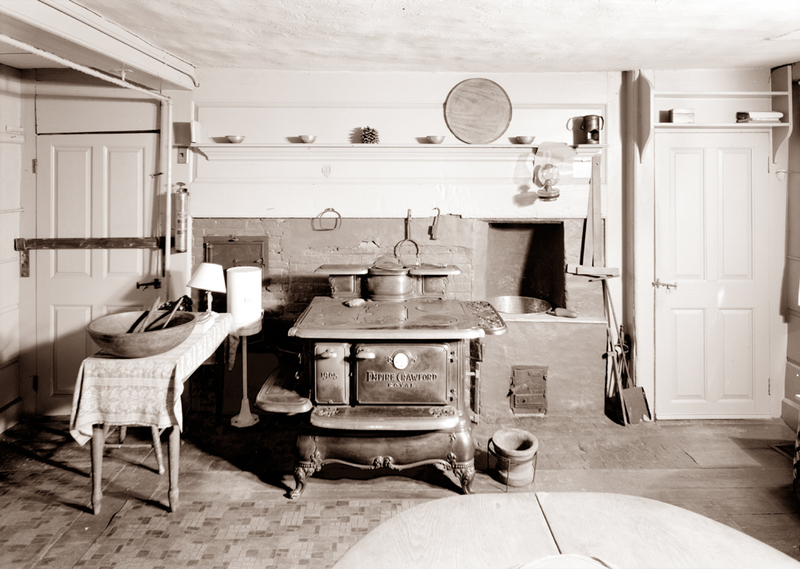 The Manse remained in the Emerson-Ripley-Ames family until 1939, when the family transferred the property to the Trustees of Reservations, a non-profit organization that maintains historic properties in Massachussets.